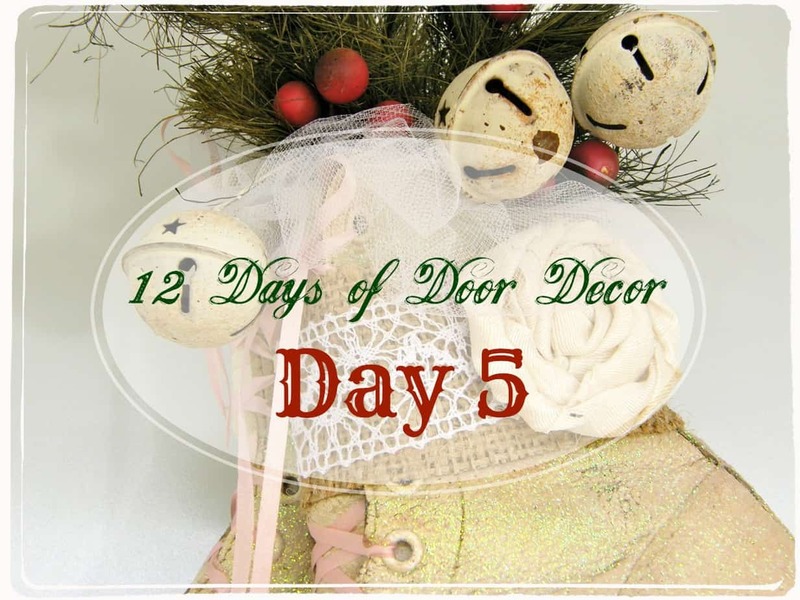 Welcome to Day #5 of the 12 Days! I LOVE todays Door Decor, and I hope you will too. 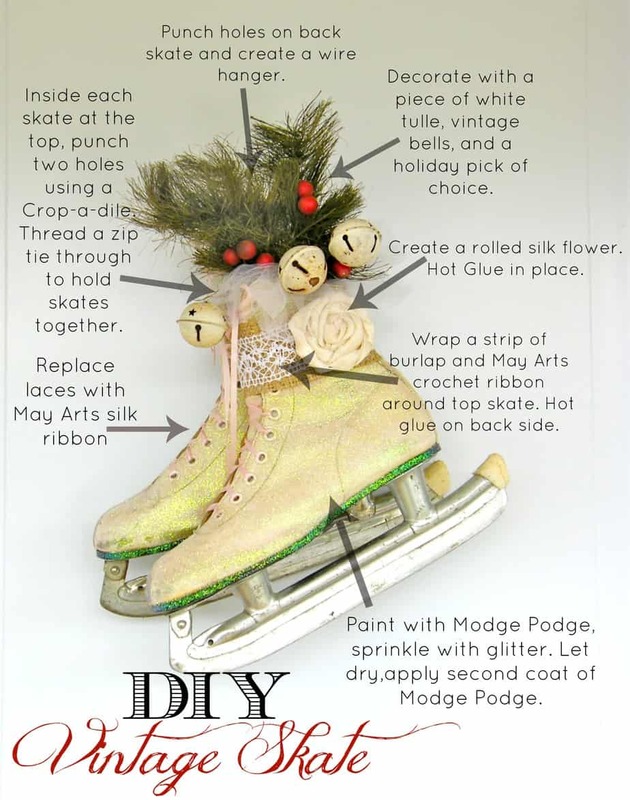 Be sure to view the whole post to catch my quick DIY instructions (Insert leaps of joy here). 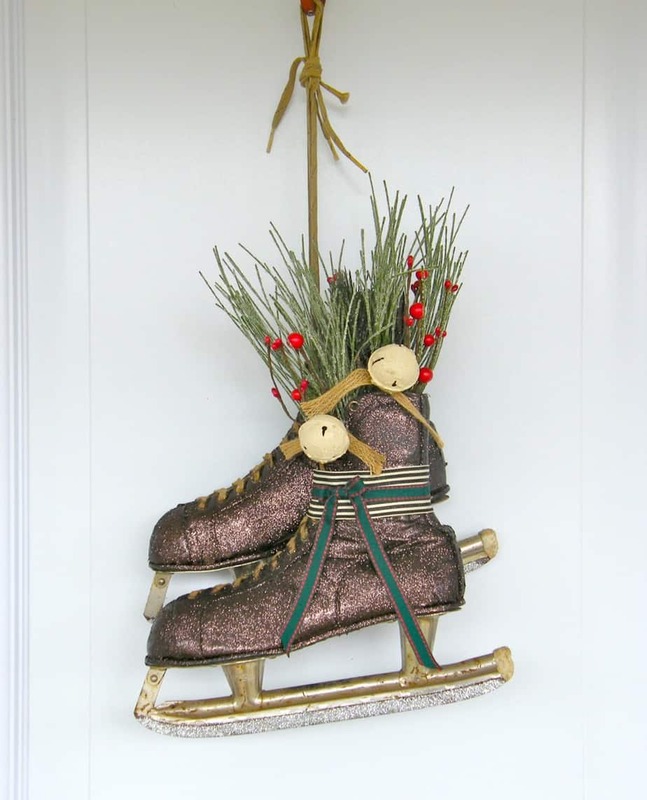 I love the vintage charm of this skate door hanger and they are the perfect addition to your decor whether it be on your door or sitting on your Holiday vignette. I hope you like, leave some love in the comments to let me know what day has been your favourite so far, but no worries I still have a load in store for you (6 days to be exact!). Thank you for joining me for Day #5. See you tomorrow for an all white number sure to please. Definately my favorite one!!! 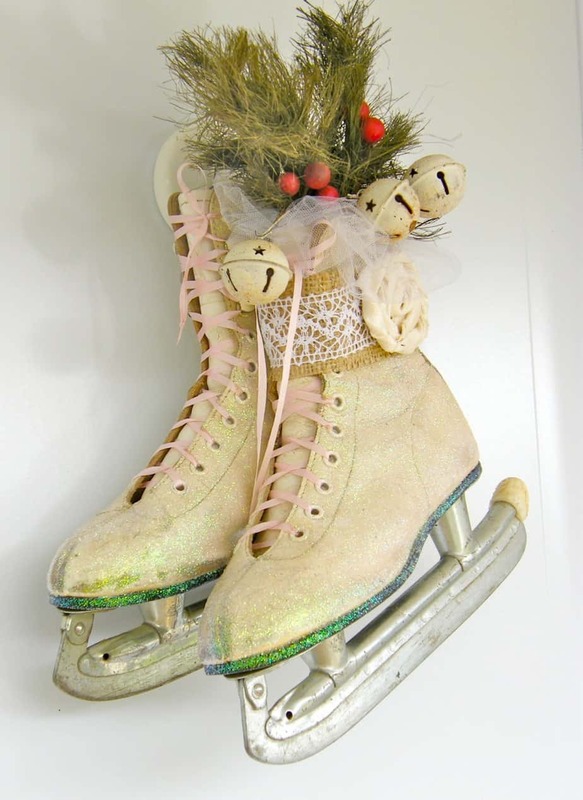 It connects with the figure skater in me!! Thanks Cheryl! I had fun creating these too! 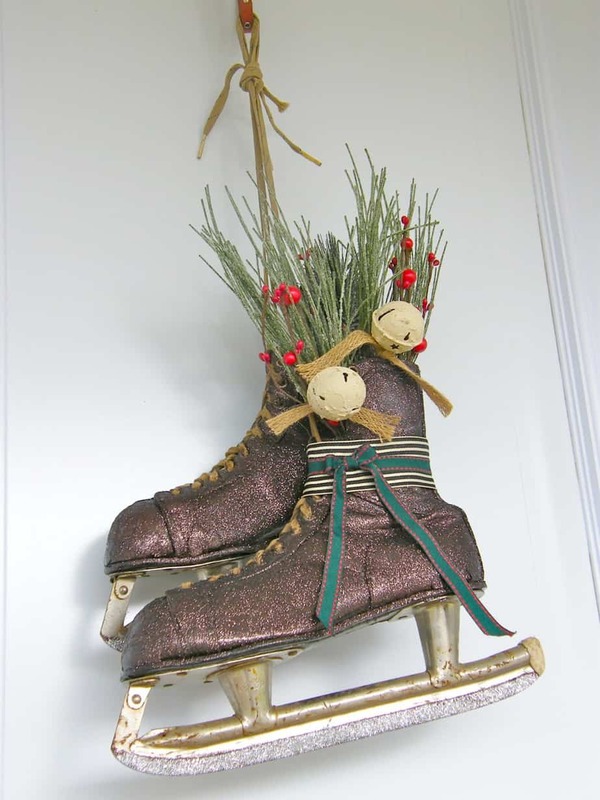 saw this on pin…then suddenly saw a pair of children’s (boy’s) black figure skates in a thrift store…quickly grab them & now going to create a decorative pair but painting them white first (all girls in the family). any suggestion on what type of paint I should use in order for it to cover the black? wish me luck…thanks for the inspiration! Glad you like them! I have had really good luck with Martha Stewart multi surface paint from Michaels (its in little acrylic bottles)they have a pearl white color that would give you an antique look. Good luck. Please post a pic on my FB page when you’re done so I can have a look! Happy Holidays! That is such a fabulous idea Patti! 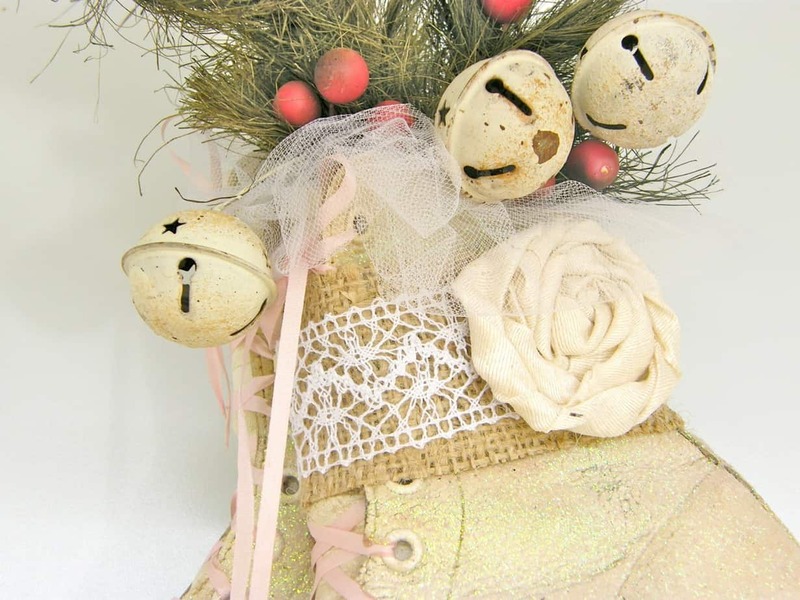 How did you make the cream and rust bells? Can you buy them? Love them! 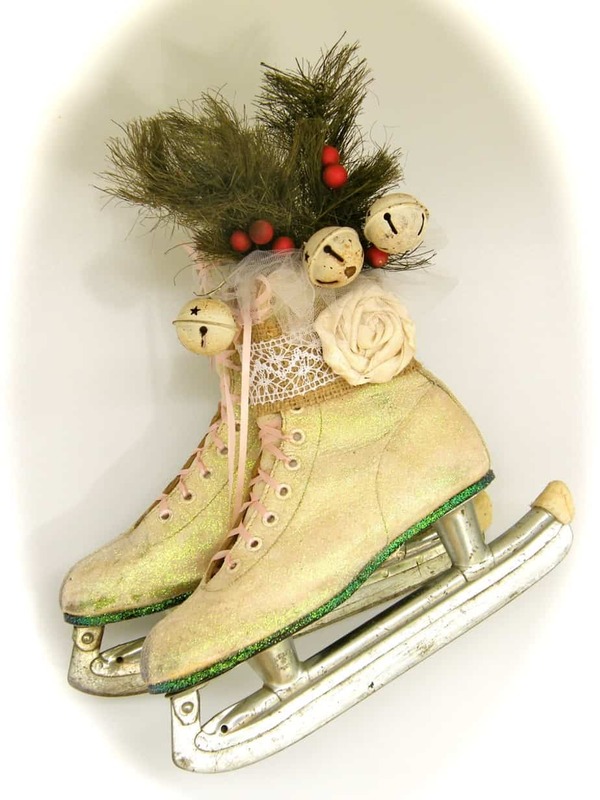 The bells wer actually a part of the stem I stuck into the skate. I think you could make them, I’ve seen pins that say you can rust things, I’d love to know!